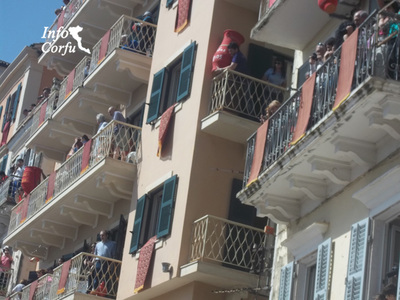 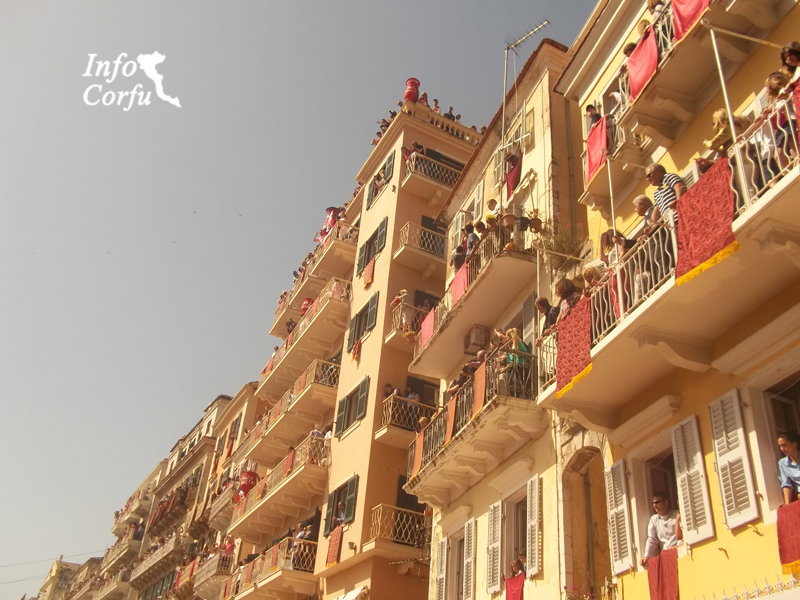 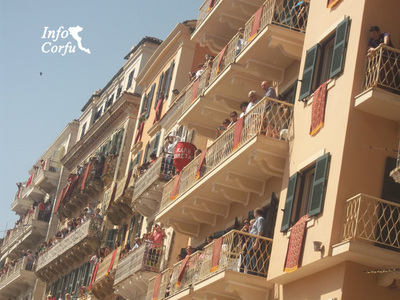 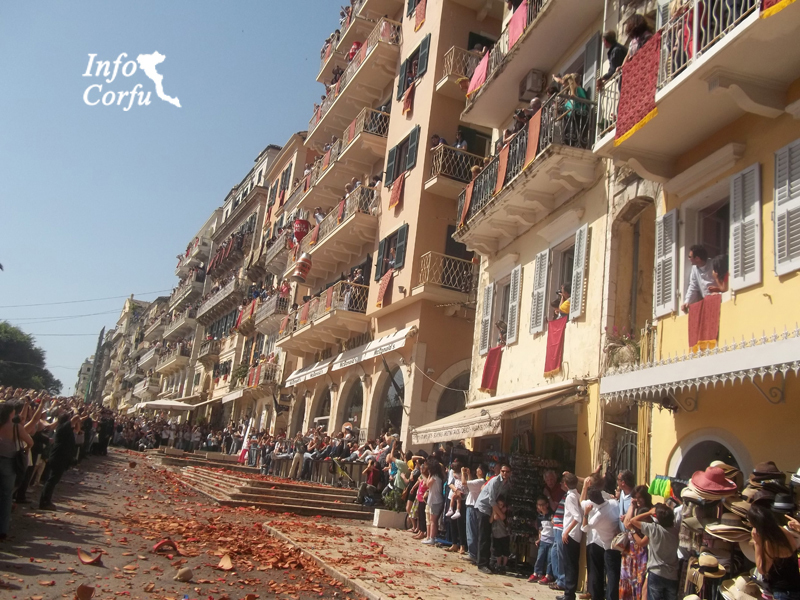 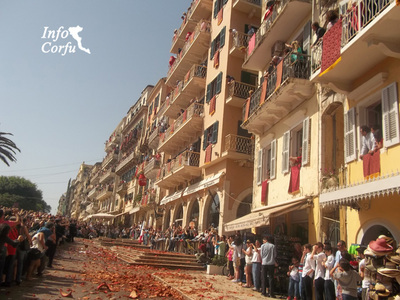 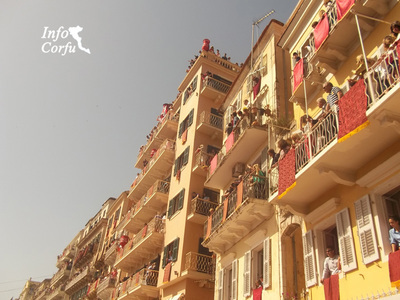 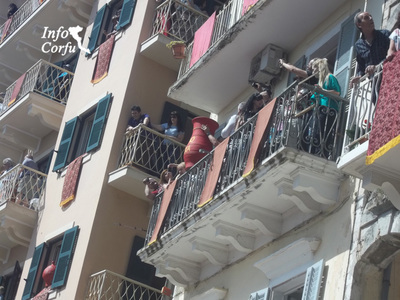 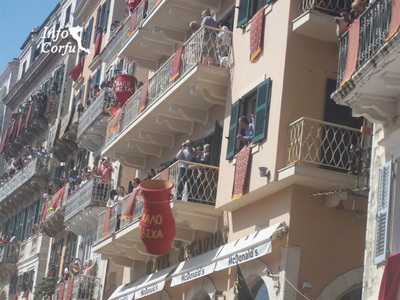 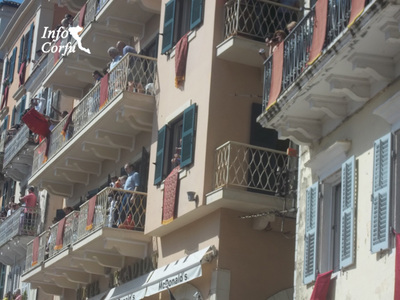 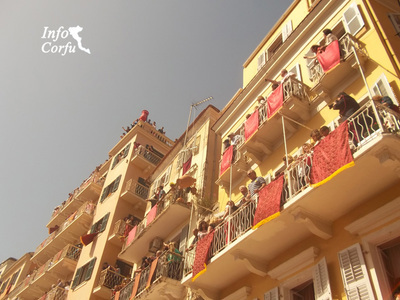 A typical custom in Corfu on Holy Saturday noon is throwing of botides. Pentofanaro becomes crowded by the multitude of the world patiently awaits the start of the shooting. 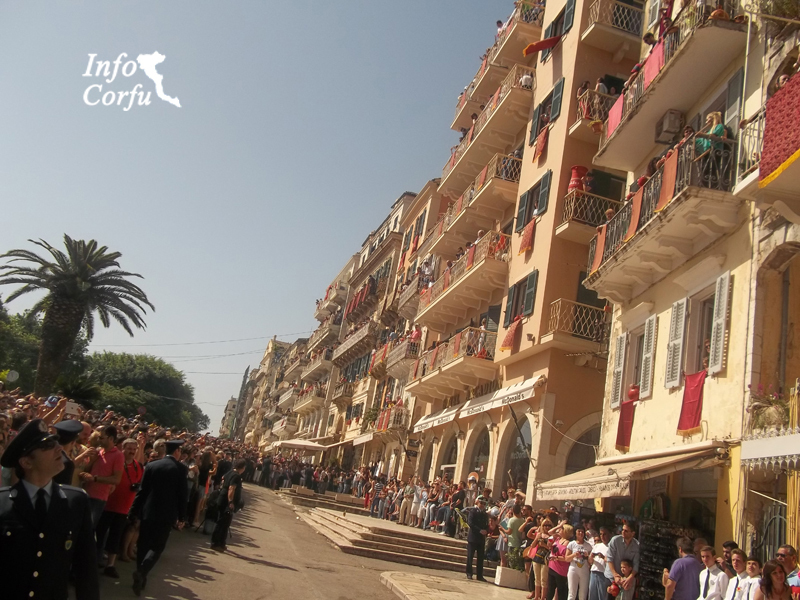 At 11.00 in the morning of Holy Saturday knocking joyful bells of the Cathedral the first resurrection. 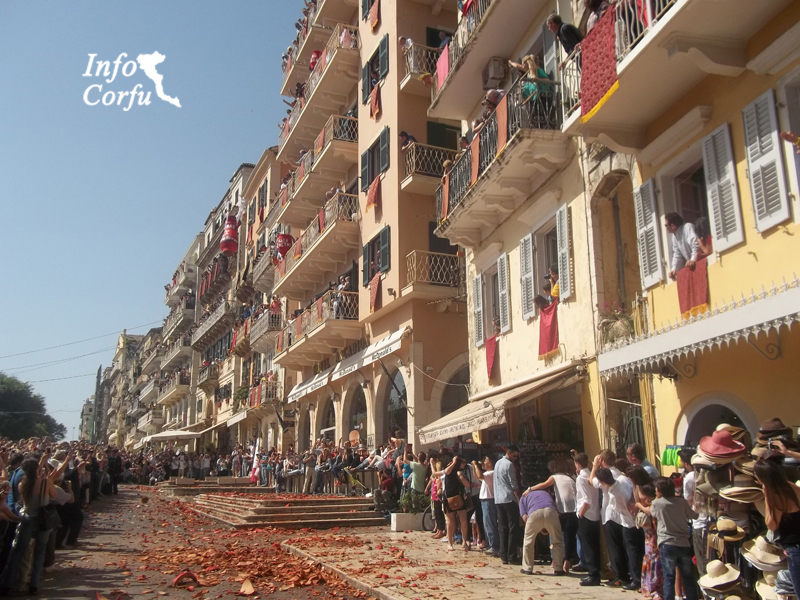 This is the trigger to start from windows and balconies throwing their botides (earthen pot ) filled with water. This traditional custom appears to have its roots in the Venetian era. 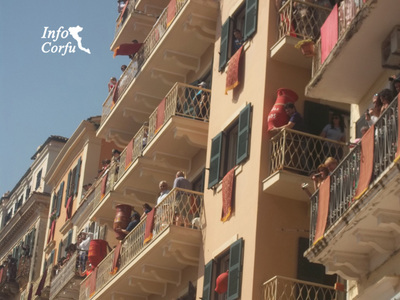 The Venetians were flying from their windows old objects to bring in the new year new. The Philharmonics expiry of the city streets playing the sprightly march "Do not fear Greeks".